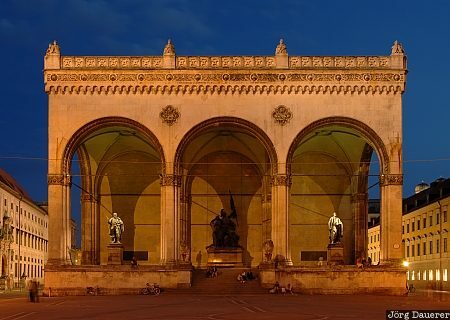 Feldherrnhalle (Field Marshals' Hall), a monument to honor the Bavarian Army at Odeonsplatz in downtown Munich in southern Germany. This photo was taken in the evening of a sunny day in May of 2006. This photo was taken with a digital camera.